We just stopped by Nokia for our meeting and finally got a chance to play with the new Lumia 610, the Europe-bound Lumia 900, and the Nokia 808 PureView. The Lumia 900 hasn't changed at all, and inside is still based on an APQ8055 and MDM9200, just like the USA/AT&T-destined Lumia 900. Instead, for Europe, the MDM9200 will be used for DC-HSPA+ instead of LTE. 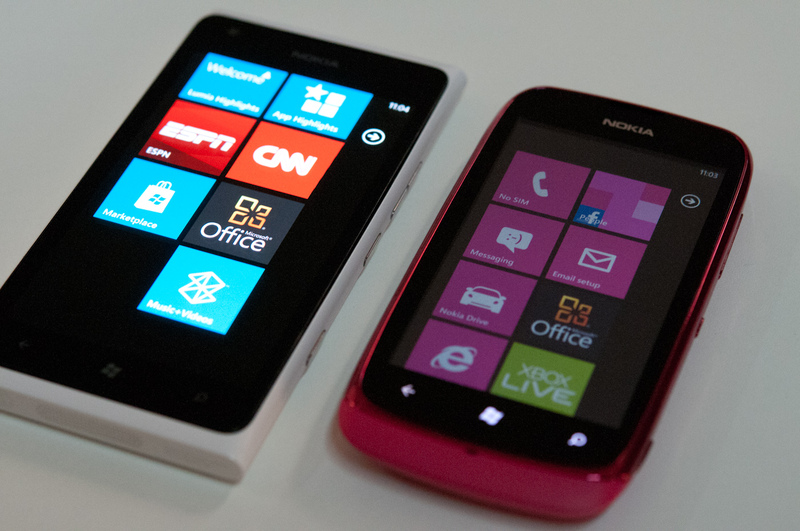 Our subjective impressions of the Lumia 610 are very positive. Superficially the 610 looks to borrow a lot of the design language of the 710 we reviewed a while ago, the primary difference is a different battery cover, and of course the reduced specs to bring the price point down to €189. Specs on the 610 include an 800 MHz Qualcomm SoC (likely MSM7230), 256 MB of LPDDR2 RAM, 5 MP rear camera, and WVGA LCD display with no ClearBlack polarizers. This is as opposed to the 1.4 GHz MSM8255, 512 MB of LPDDR2, and inclusion of ClearBlack polarizers on the other Lumias. The Lumia 610 is a mass market device running the updated version of Windows Phone 7.5 (Tango) which changes the chassis spect to include lower-specced devices to push a lower price point, and Chinese language and network requirements. Tango will no doubt be announced eventually, though Nokia couldn't spill those beans and outright say that the 610 was running it. The device was showing WP7 OS version 7.10.8731.168 on the unit we saw, which was still wearing the prototype markings on the back and "Lumia 000" model number silk screen. The hardware we played with is still the same as what will ship in 2Q 2012. The Lumia 900 is the same as what we saw before, which we're anxiously awaiting to arrive so we can play with and prod the device on AT&T's LTE network. The european version is again the exact same internals (SoC and baseband) but will work on DC-HSPA+ instead of LTE. We headed over to the Nokia 808 PureView booth next and got to play with the Nokia 808, which runs Symbian Belle and contains Nokia's 41MP camera. 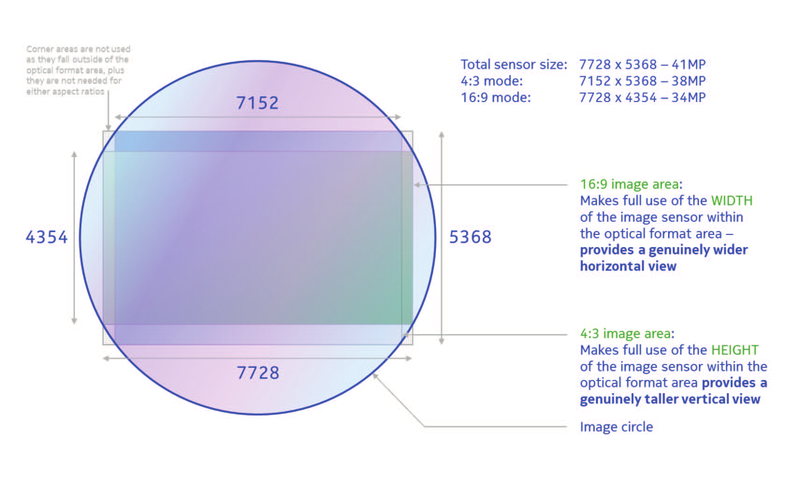 I asked for some details on the sensor and optical system, and also found that Nokia has an awesome and very helpful whitepaper (PDF) which explains all the details. The sensor is a huge 1/1.2" format (for comparison, most smartphones I see use 1/3.2" size sensors) and uses 1.4µm pixels which is the current size most smartphone cameras use. I'm glad that Nokia hasn't gone with the smaller 1.1µm pixel size that is starting to appear in other devices to push the MP count higher, instead the Nokia 808 simply includes a huge sensor. Nokia is also using some off-SoC ISP for handling the 41MP sensor, as even the newest SoCs right now like MSM8960 support only up to 20MP sensors. The Nokia 808 can either capture full resolution 4:3 (7152 x 5368 - 38 MP) images, or 16:9 (7728 x 4354 - 34 MP) images if you want, or you can use the PureView mode and crop down to an 8MP, 5MP, or 3MP image. The 16:9 and 4:3 sensor modes again use the same method we've seen in previous Nokia phones, and doesn't just crop the sensor in the Y direction. In PureView mode, the images that get produced are smaller in size but oversample the image sensor, resulting in extremely sharp, high frequency detail being present. 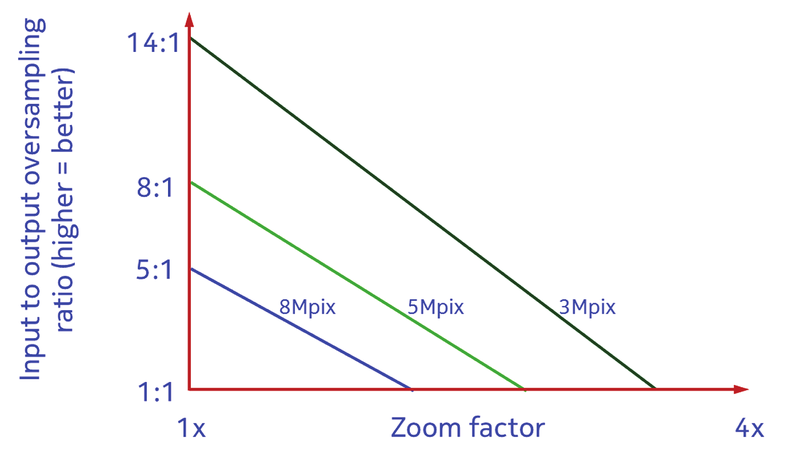 As you zoom in you change that oversampling until (at maximum zoom level) you're at a 1:1 crop. 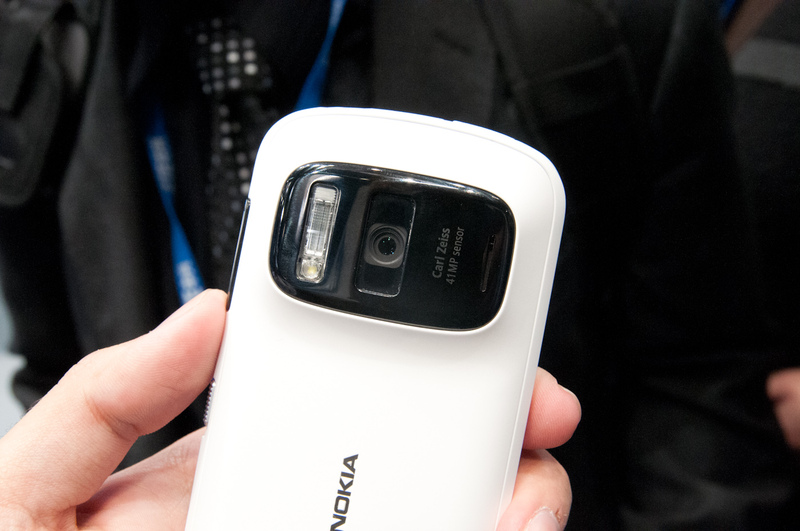 We weren't able to send images to ourselves or take them off the Nokia 808 PureView, however I was impressed with what I saw on the device and the responsiveness of the camera, even when it was writing full size 38/34 MP images to NAND. Obviously Nokia is continuing to dominate the smartphone camera space. We'll be getting the Nokia 808 to put through our camera tests as soon as it is available, and I have no doubt the results will be very impressive. I'm not much of a camera buff... I use my camera phone as a tool as opposed to for any kind of artistic or capturing-the-moment type of usage scenarios. But I'm still very impressed at what they've been able to cram into that 808. Looks like it may have a usable flash coupled with an over the top sensor that gives you enough resolution so you can zoom or crop and still get very good looking images. I really have no interest in that phone but I am fascinated with it the way excessive large breasts are fascinating though not necessarily appealing. Why stay curious when you can see for yourself? No Nokia, don't make the same mistake again! Create ONE impressive Windows Phone (like thought the Lumia 800 is) and try even harder to sell it (focus on the advantages of Windows Phone - which is quite good). But no, they have just started selling windows phones and already put one model after the other on the market. 800, 710, 808, 900,610, ... - SORRY NOKIA - this is already too much for any consumer!